Amniotic fluid is the best life supporting system for your baby, because it provides complete protection for your baby and also helps in the growth of limbs, muscles, digestive system and lungs. Formation of amniotic fluid takes place immediately after the formation of the amniotic sac, i.e. about 12 days after conception. Your baby will move and topple in your womb with the aid of amniotic fluid. During the second trimester, your baby begins to breathe and swallow the amniotic fluid. Sometimes, however, the levels of amniotic fluid will be too high or too low. If the level of amniotic fluid is too low, the condition is known as oligohydramnios. When you go for a prenatal check-up, your practitioner will measure the level of amniotic fluid by using different methods such as deep pocket measurement or amniotic fluid index evaluation (AFI). If the AFI method shows the fluid index less than 5cm or the fluid volume less than 500ml when you are between 32 to 36 weeks pregnant, a diagnosis for oligohydramnios is likely. Every year, about 8% of pregnancies are recognized with low amniotic fluid. 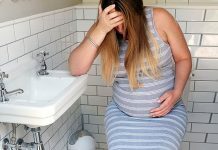 You may be affected with this condition at any time during your pregnancy, but you will observe the condition most frequently during the third trimester. 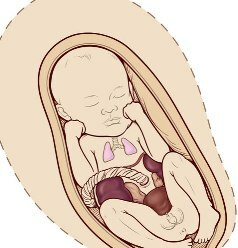 Placental problems: If there is improper supply of blood and nutrition to your baby from placenta, then your baby stops recycling the fluid. Post date pregnancy: Also, post-date pregnancy may have low amniotic fluid levels and it is due to declined placental functioning. Leakage or rupturing of membranes: A small tear in the membranes leads to leakage of the fluid. Also, premature rupturing of membranes can lead to low levels of amniotic fluid. Birth defects: Kidney and urinary tract problems can lead to the production of small quantities of urine, thus leading to low amniotic fluid levels. 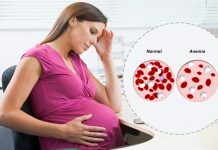 Maternal complications: Some factors like hypertension, diabetes, maternal dehydration, chronic hypoxia and pre-eclampsia can have a great effect on the levels of amniotic fluid. Risks due to oligohydramnios depend mainly on the gestational age. Amniotic fluid helps your baby in the development of muscles and limbs by giving it more space to move. Treatment for oligohydramnios is mainly based on gestational age. Procedures like contraction stress and non-stress tests are useful to examine the baby’s activity. Injecting the fluid before the delivery by using the method called as amniocentesis test. During labor, amnio-infusion by using an intra-uterine catheter, this additional fluid level helps in filling around the umbilical cord at the time of delivery and this helps to decrease the chances of C-section. Therefore, regular prenatal check-ups help you to understand the condition of your baby and help to take proper care if any complications are recognized.